Famous For: Paintings, History, Tourism, Religious purposes, Architecture. Entrance Fee: No entrance fee. Visiting Time: 24 hours all throughout the year. The Indian state of Rajasthan has been known for forts and palaces since time immemorial. Tourists from all parts of the world and also the country visit Rajasthan all throughout the year. 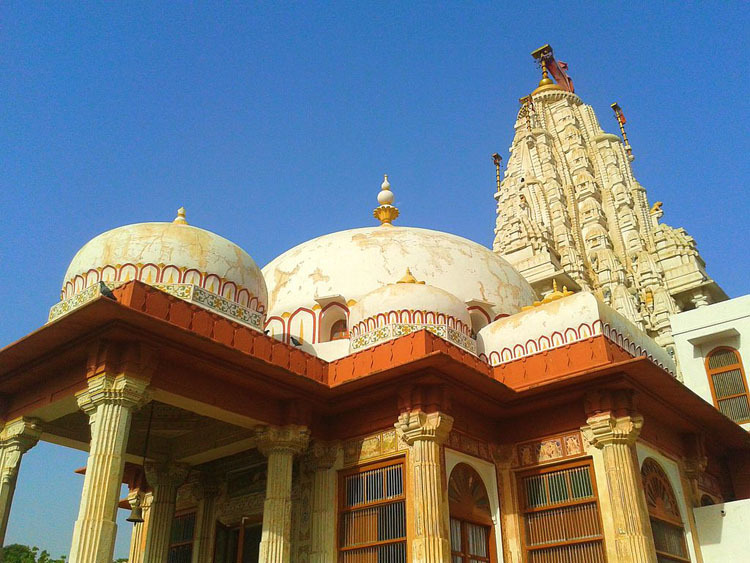 The Jain temple in Rajasthan had been built by Bhandasa Oswal back in the 15th century. The construction of the temple had been continued even after the death of Oswal. This temple has many structures inside of it which include the antarala, meaning the inner house, garbagriha, mahamandapa (the great temple) and also the ardhamandapa. 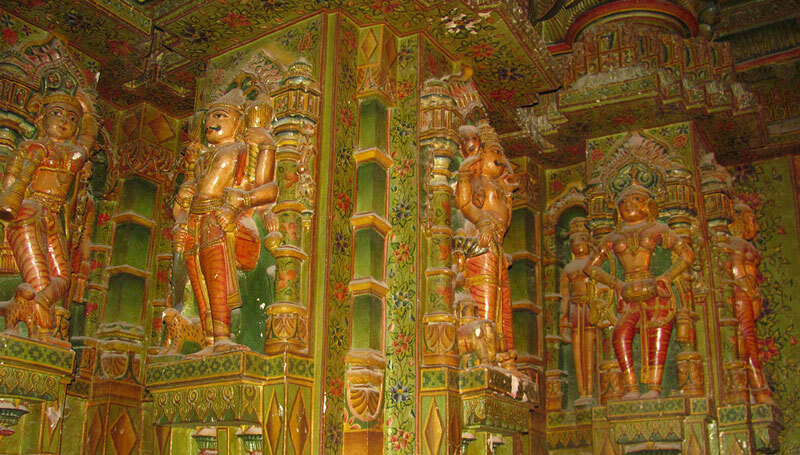 The interiors of the temple are the major attraction of the temple. The temple is very well maintained and is kept very clean. A trip to Rajasthan often turns out to be hectic owing to the numerous tourist spots that one gets to visit. Hence, to take calm day off in a temple like this is a great idea. Tourists and travellers are not allowed to carry any leather items inside the temple. You can keep it outside the temple in designated places free of cost. During the summer months in India, the temperature gets really high. If you want the weather to be on the cooler side, try to avoid the months of May and June. The road to this temple is not very well maintained and hence is advised to travel by local transport. Do not carry any food especially non-vegetarian items. The Jain temple follows strict rules. Since the temple is not very huge, you can plan a day visiting other places in the local area. This shall save some time. The market place is very near. Shopping for typical Rajasthani items would not be such a bad idea. The locals are a great source of information. If you are interested in knowing the area and its history in details, you can spend some time with them. No guides are available to take you through the interiors of the temple. Rajasthan is a desert oriented area. The weather can be extremely warm and temperatures can rise sharply during the summer months making it impossible to travel in the scorching heat. The most pleasant time to visit Rajasthan is during the months of November to March. This way you can make the most of your time there. It is advised to not take a car ride. The conditions of the road make the journey tedious. Most people love to enjoy the local rikshaw ride. The temple was built to honour the fifth Jain Tirthankara, Sumatinath. This is also the oldest Jain temple in all of Rajasthan. The priest of the temple is very welcoming. He is also well versed in more than 10 languages and communication is very easy. He will tell you more about the temple and its history. The architectural brilliance of the temple is displayed right from the entrance gate. There is intricate work on pillars and several paintings all along the walls of this famous temple. Locals claim that to ensure purity, the building used 40,000 kilograms of ghee during its construction. On a hot summer day, the ghee even seeps out of its walls. The statue of Sumatinath is made of pure silver. Red sandstone is the chief building material of the Jain temple. The shikaras of the temple looks gorgeous in white. Apart from decorative patterns and outstanding pillars, the temple also has stories of the 24 Jain Tirthakaras. The art and paintings in the Jain temple will leave you mesmerised. Intricate details and work on the pillars are worth mentioning. You cannot miss to visit this place if you are planning to visit Bikaner.